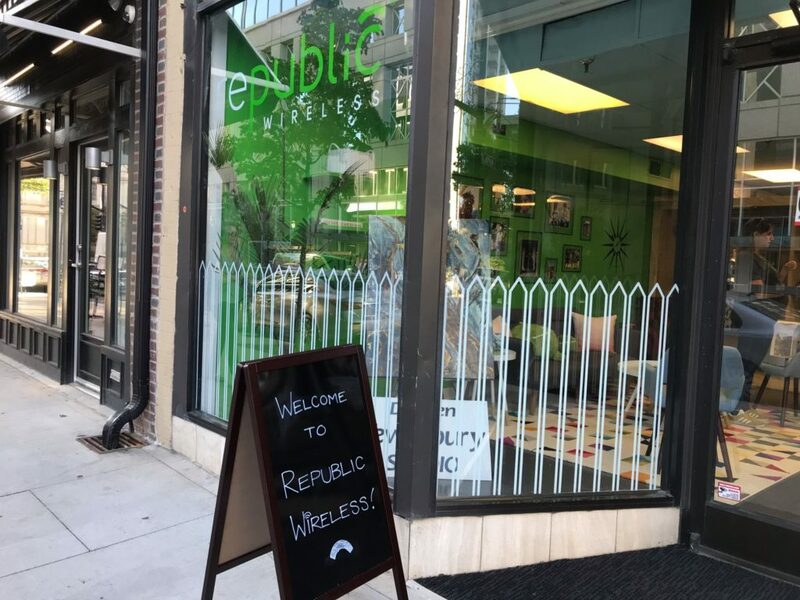 As of October 6th, 2017, the Republic Wireless Pop Up Shop in Downtown Raleigh is officially open for business! 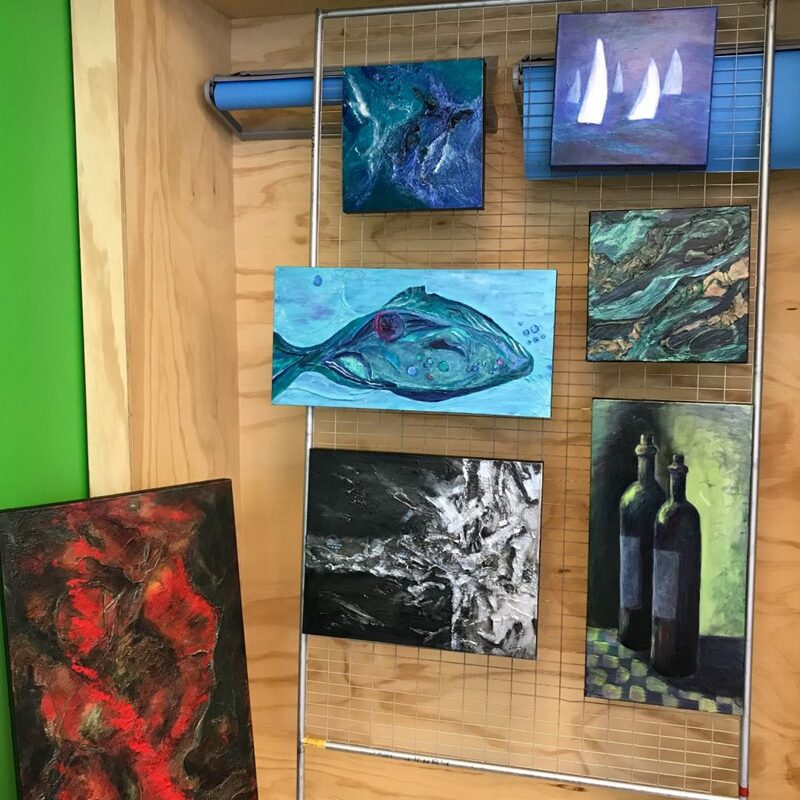 Located at 17 East Martin Street, the Pop Up Shop has taken a new approach to connecting with customers on a more genuine level. 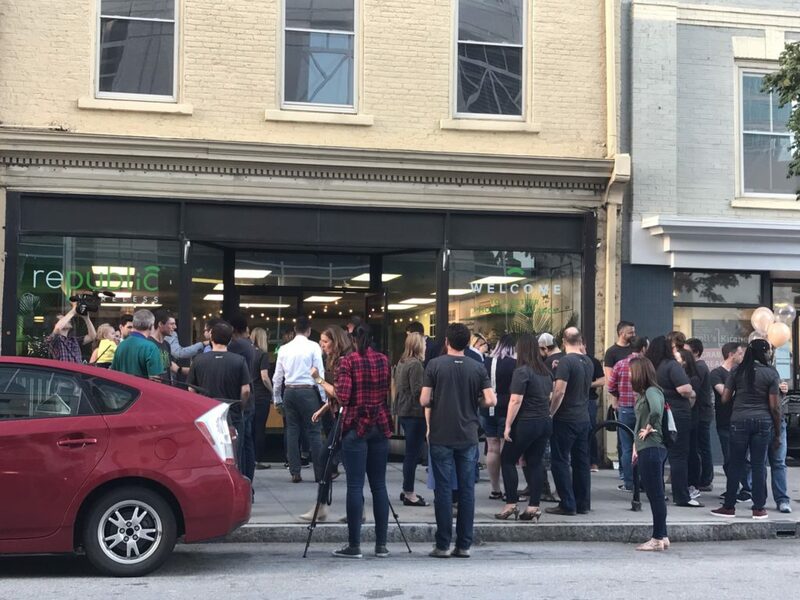 The shop held a ribbon-cutting event during October’s First Friday and welcomed a large crowd on the fine Downtown Raleigh evening. 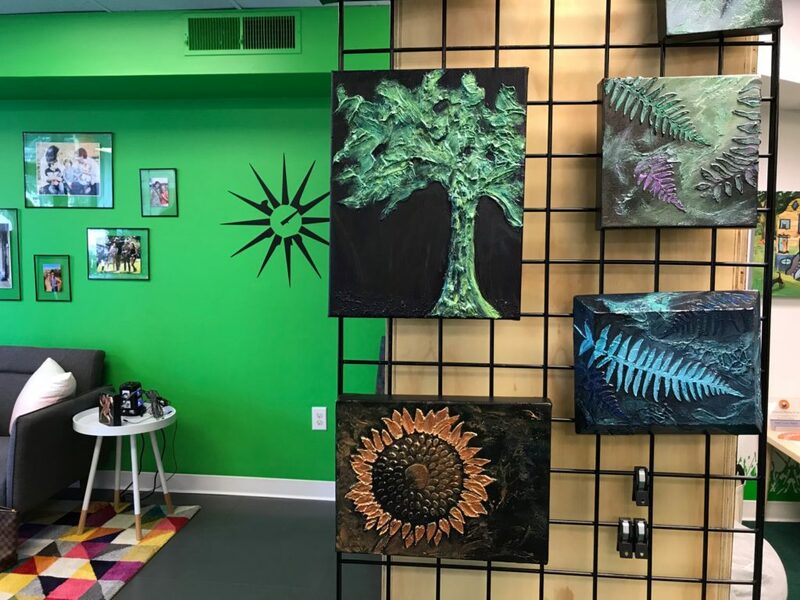 Set up to mimic a real-life home environment, the Pop Up Shop aims for face to face contact with their customers, with the intention to show people experiencing life while still able to stay connected with Republic Wireless. Unlike your more traditional carrier retail shops, Pop Up displays photos of the happy Republic employees and their families on the walls, has a children’s station, complete with books and a play table, a lounge area for adults, and on top of this, they will even treat you to coffee and snacks. Republic Wireless takes a more simple approach with their customers rather than the aggressive sales ploys and confusing contracts of their more commercial competitors. The employees with Republic are dedicated to support, to help educate the customer on the product and answer any questions, rather than simply selling. The employees with Republic do more than just offer support for the products but are committed to operations and marketing as well. Republic Wireless is a nationwide 4G LTE phone service heavily based in the use of WiFi for calls, texts and internet use. Republic is the straightforward and affordable way to stay connected, with no hidden fees or surprises. This locally based carrier offers a variety of awesome phones to choose from, with low cost plans that fit your needs and your wallet. Starting at $15 per month ranging to $90 per month, find the plan thats right for you. With these incredible savings, you are also able to try it risk free! No contracts, overages or hidden fees. 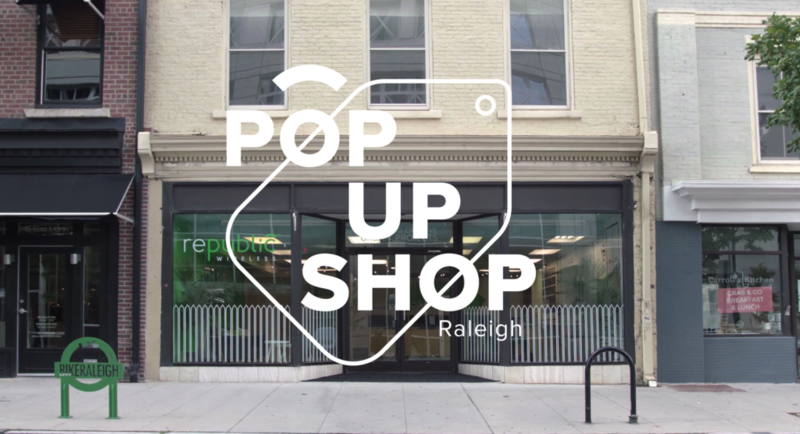 Pop Up is about getting the community excited about what is happening here in Raleigh. 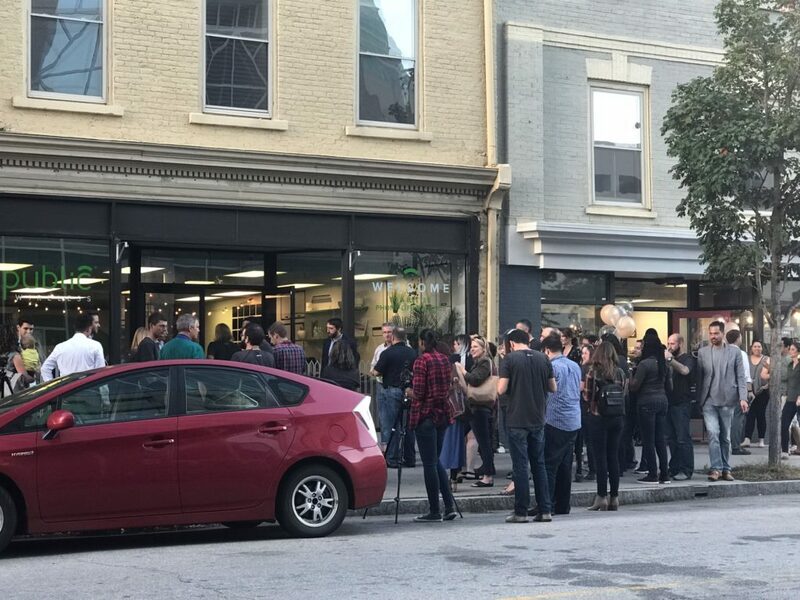 In addition to supporting Republic Wireless, local vendors have offered sponsorship to the Pop Up by providing their products on-site: coffee served is supplied by Pine State, the snacks from Raleigh Provisions, and LM Restaurants caters for First Friday every month. 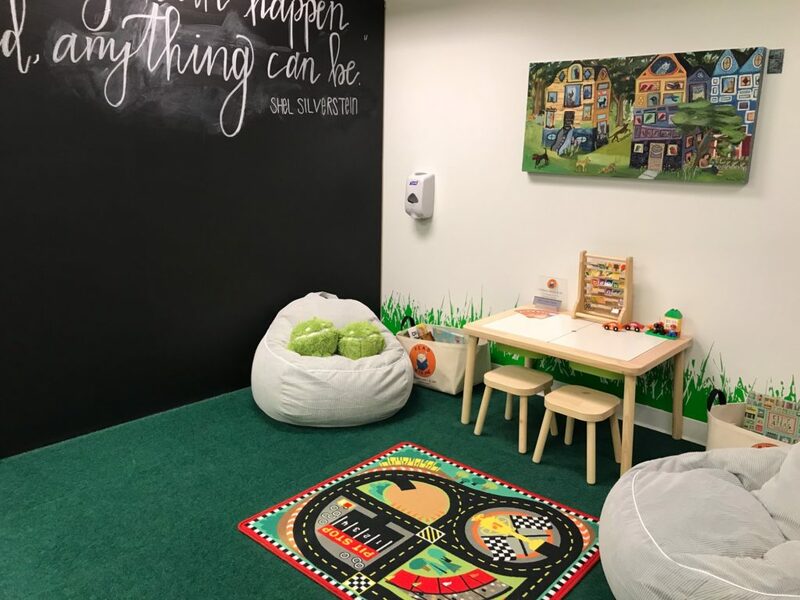 The rug in the children’s area was provided by neighbor retailer, Briggs Hardware, and the books provided by nearby children’s books store, Read With Me. 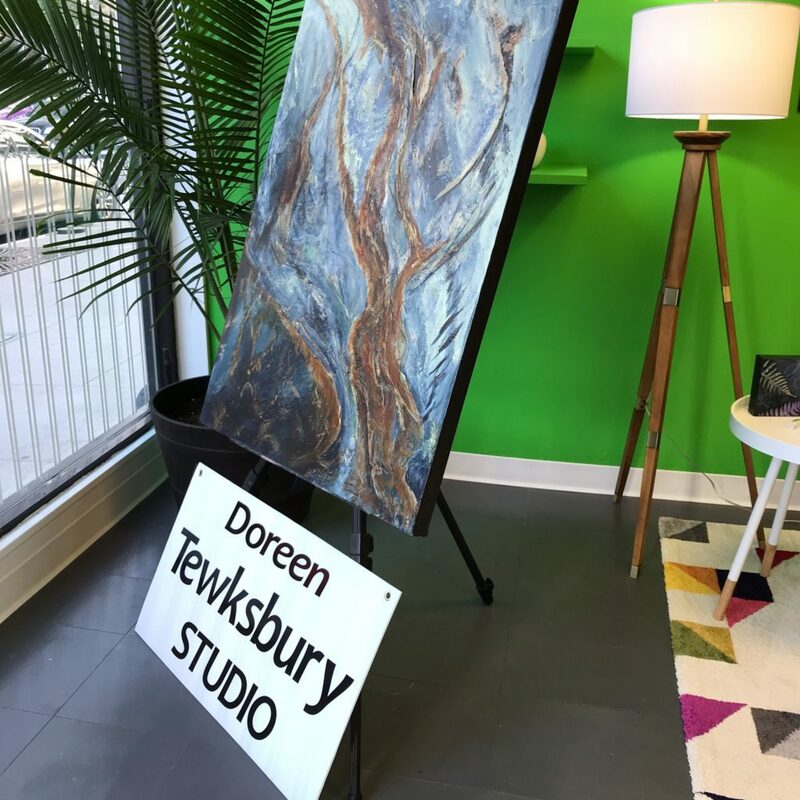 This month’s artwork features fantastic pieces by Doreen Tewksbury Studio, too! 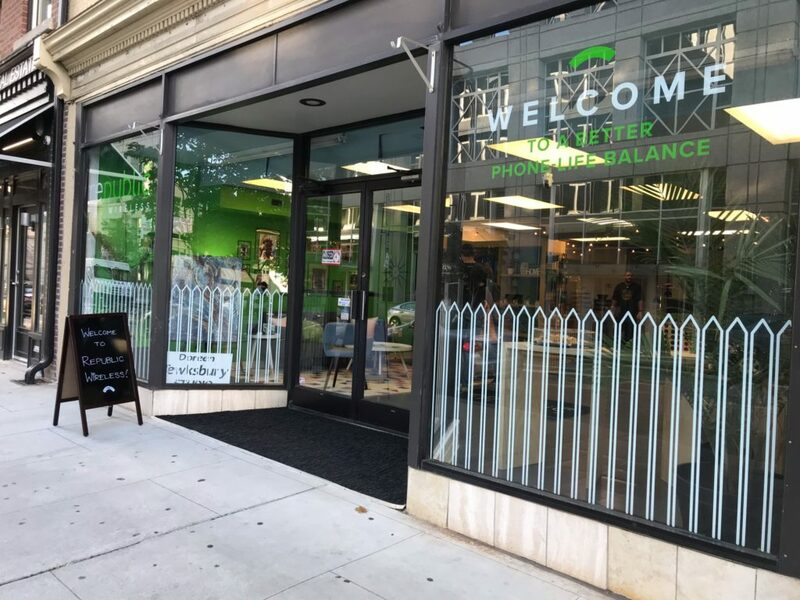 Republic Wireless will be located at the Pop Up Shop until the end of this year – stop by and learn more about one of Raleigh’s many fast-growing businesses while you can! 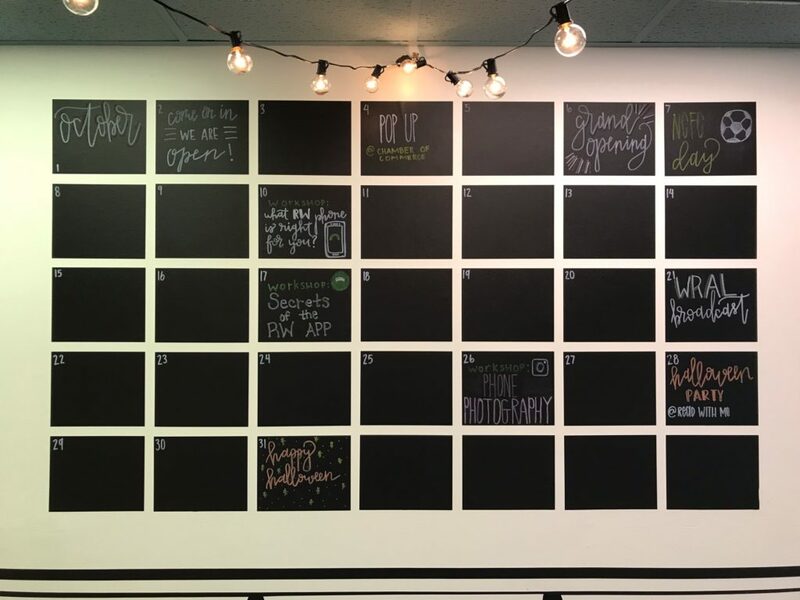 There are various events happening on-site, including skills classes like learning to use Republic Wireless-compatible devices and cell photo photography tips… check out the calendar photo above to see what’s on deck!